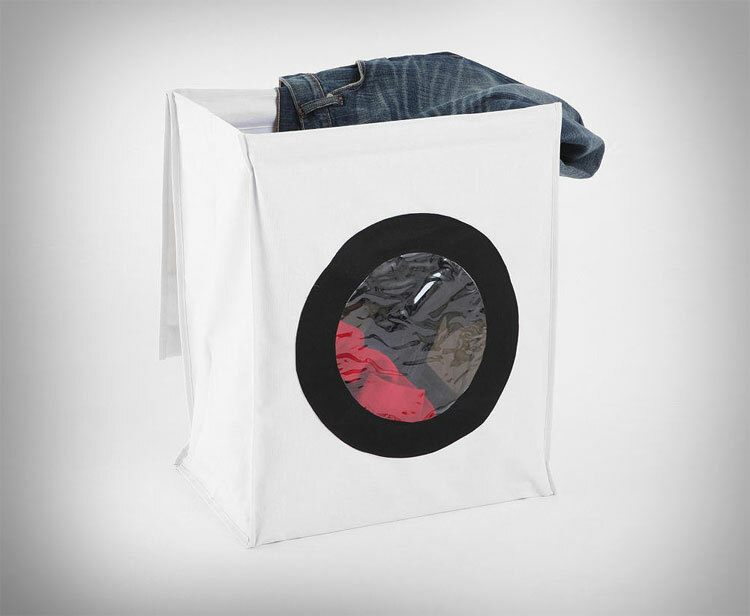 The laundry machine hamper is a large laundry hamper that looks just like a laundry washing machine, so incase you are too stupid to know what you need to do with that giant heap of dirty laundry, once you start using the laundry machine hamper you will know that you need to put it into the washing machine. 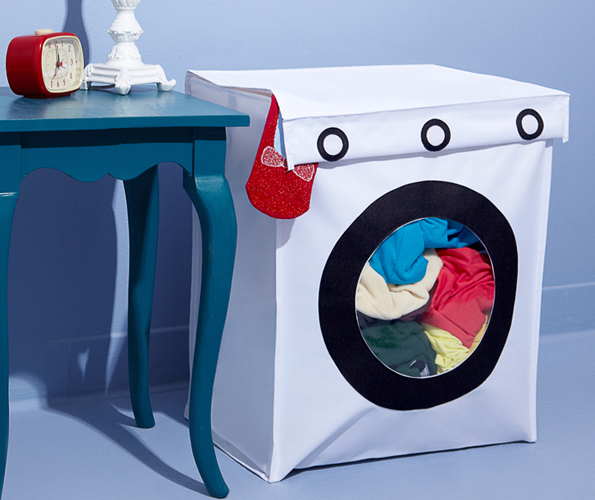 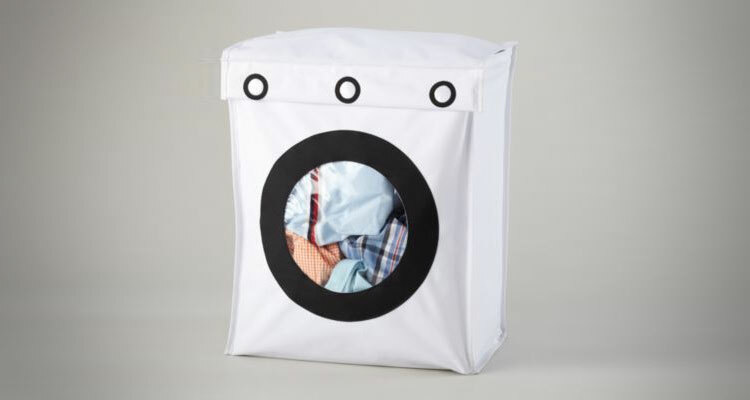 The laundry machine hamper even has a little window just like a regular washing machine, so that you and everyone else can see the brown stains you put in your tighty whiteys the other night on the way home from the taco buffet. 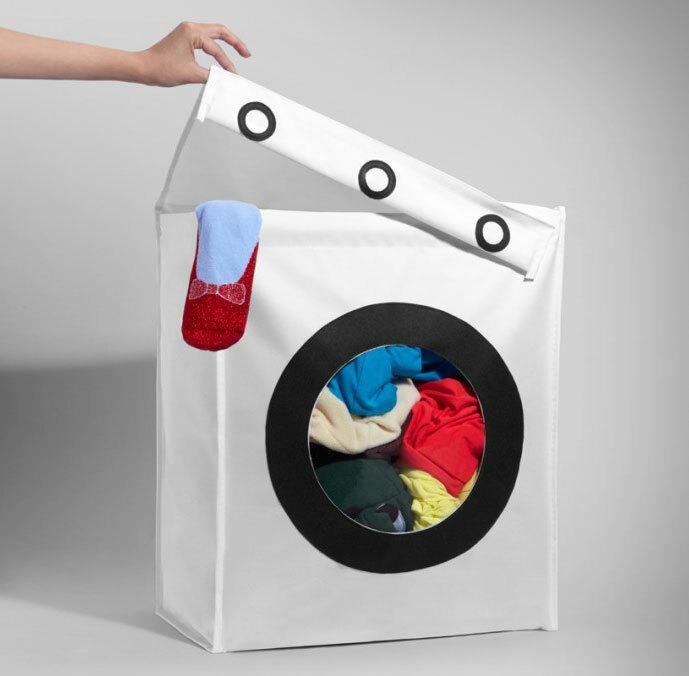 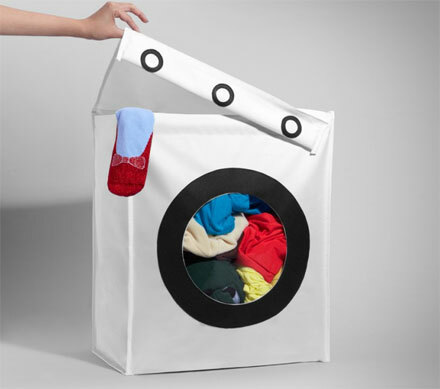 The laundry machine shaped clothes hamper will transform your dirty pile of clothes into a neat organized heap, it comes packaged in a slip bag, and measures 21 inches x 12 inches x 17 inches.